Although there are many leadership frameworks, models, and theories, the majority of them were developed by men and are based on male-normed assumptions. There is clearly a gap in the literature in terms of individual and organizational leadership theories that focus on women. Thus, we are not able to answer important leadership questions confidently and the demand for insights about women and leadership continues to increase. To help address this gap, two scholars (Drs. Susan R. Madsen & Julia Storberg-Walker) are leading a movement to advance women and leadership theory worldwide. Drs. Ann Austin, Carole Elliot, and Valerie Stead, along with others, have also been heavily involved with this work. First, we organizing a three-day women and leadership theory building colloquium (May 18-20, 2014) that catalyzed the refinement and creation of scholarly theories, generated focused and sustained research agendas, and advanced the next generation of research related to women’s leadership and leadership development for girls and women. Many other gatherings (e.g., preconferences, post-conference sessions, workshops, think thanks) have also been held and are described below. The movement has been successful through mobilizing new and established scholars toward theorizing and theory development, connecting scholars from different institutions and disciplines, and stimulating rigorous and sustained scholarly research. Need and Purpose: Although there are many leadership frameworks, models, and theories, the majority of them were developed by men and are based on male-normed assumptions (Jogulu & Wood, 2006). There is clearly a gap in the literature in terms of individual and organizational leadership theories that focus on women. Thus, we are not able to answer important leadership questions confidently and the demand for insights about women and leadership continues to increase. To help address this gap, three scholars are organizing a two-day women and leadership theory building colloquium. The colloquium will catalyze the refinement and/or creation of scholarly theories, generate focused and sustained research agendas, and advance the next generation of research related to women’s leadership and leadership development for girls and women. These goals will be met by mobilizing new and established scholars toward theory development, connecting scholars from different institutions and disciplines, and stimulating rigorous and sustained scholarly research. Participants: To maximize the impact of the Colloquium, participants were carefully selected. Multiple international calls for proposals were disseminated via listserves, and targeted invitations to recognized scholars were distributed. All interested participants (invited and self-nominated) submitted detailed proposals describing their background and research interests, as well as their reasons for participating. Each proposal was closely reviewed to confirm dedicated commitment and to maximize diversity in perspectives, research, and experiences. Selected participants were notified in November of 2013. Working teams based on interest area will be formed in January 2014. In all, 70 people from around the world will collaborate together to advance women and leadership theory. Each participant has committed to an assertive and sustained research/theory building and publishing agenda on women and leadership. Collectively, the participants represent a diverse yet cohesive body of work from multiple disciplines and perspectives. In general, participants are one of three types of research scholar: (a) established women and leadership scholars, researchers, or theorists; (b) established scholars, researchers, and theorists in an area related or relevant to the women and leadership domain; or (c) new scholars (e.g., assistant professors, promising doctoral students) who know existing literature well and plan to engage assertively in women and leadership theory-building and research in upcoming years. Design: This was a working colloquium, with the collaborative work that went back and forth between large group interactions and smaller working groups before, during, and after the event. To support this work, a Moodle site was developed to share documents, co-create working papers, and provide the collaborative space needed to generate new knowledge across physical space and over time. The goal of the colloquium was to provide a structure and facilitation for critical dialogues to occur, but let participants be the catalyst to have their work and plans emerge throughout this collaborative process. Participants will self-select their focal area from one of five perspectives. The perspectives were selected based on an extensive review of the literature as well as solicited from participants. The perspectives or ‘lenses’ were (1) Identity, (2) Leadership Purpose and/or Calling, (3) Second-Generation Gender Bias, (4) Power, and (5) Intersectionalities. Teams started working together in January 2014, and met together at Utah Valley University in May, 2014. The Colloquium began with scholarly presentations and end with discussions, networking, and collaboration. In between, full-group discussions and breakout sessions were facilitated to build on the pre-work and create strategies for focused, sustained, and relevant empirical and/or conceptual research projects. The pre-colloquium lessons included the following: (1) Introduction to Applied Theory Building Research (February), (2) Applied Theories and Cultures of Knowledge (March), and (3) Applications of Theories (April). Anticipated Outcomes: Depending on what the teams chose as their goal, proximal outcomes included one or more of the following: a clearer understanding of the literature gap, the beginning of new, collaborative, and sustained research agendas, components of a possible theory with commitment to move forward on theory-building research, and/or a set of hypotheses, logical statements, or one or several logic models. More distal outcomes include the publication of a book titled “Advancing Theories of Women and Leadership” with chapters from colloquium participants and/or teams. This 90-minute preconference roundtable event offered a unique opportunity to stimulate thinking around how we develop responsible leadership theory. In an informal format, we discussed an innovative and collaborative approach to theory-building, developed to generate and advance theories of women and leadership, and to consider how we can transfer this approach to developing theories of responsible leadership. A dearth of critical research on women’s experiences of leadership, and a dominance of leadership theory based on studies of men has resulted in a lack of work that attends to the theorizing of women’s leadership (Calas & Smircich, 1996; Lamsa & Sintonen, 2001; Stead & Elliott, 2009). Leadership discourses that are concerned to be responsible, therefore, need to reflect and be representative of the diversity of our social world. Stimulated by these concerns Professor Susan Madsen and Julia Storberg-Walker developed a colloquium design that enabled 70 scholars from the U.S. and the U.K. to come together and work collaboratively to advance theories of women and leadership. The colloquium, as already described, was designed to include both established scholars and scholars who are new to the field of women and leadership. Working around five diverse perspectives on women and leadership, colloquium participants worked in small “collaboratories” before and during the event to develop ideas that were shared and developed more widely. Valerie Stead and Carole Elliott were involved as collaboratory co-chairs and participants. At this preconference, the facilitators introduced the design of the colloquium, how it worked, and the outcomes thus far. Participants in the roundtable were given the opportunity to discuss the design and to consider its application to other areas of theory building and as a model towards developing a more responsible and just discourse of leadership. The May 2014 Utah Colloquium was created to meet a need outlined in the “Asilomar Declaration and Call to Action on Women and Leadership” that emerged from the June 2013 WLAG Women and Leadership conference at Asilomar. Seventy people from around the world worked together to advance women and leadership theory by collaborating and sharing theory building ideas and findings. This session provided another venue for theoretical development, provided an opportunity for new voices to join the initiative, and it connected women and leadership theory with the long-range goal of fostering related global change. Many attendees of the May 2014 Colloquium attended this session; however, participation in the Colloquium was not a requirement for the preconference. All voices were welcome. Participants of the Colloquium, however, were already be committed to an assertive and sustained research/theory building and publishing agenda on women and leadership that is, nonetheless, welcoming to the ideas of new collaborators. Collectively, the Colloquium participants represent a diverse yet cohesive collaborator of scholars from multiple disciplines and perspectives. In general, participants were one of three types of research scholar: (a) established women and leadership scholars, researchers, or theorists; (b) established scholars, researchers, and theorists in an area related or relevant to the women and leadership domain; or (c) new scholars (e.g., assistant professors, promising doctoral students) who are familiar with the existing literature and plan to seriously engage in women and leadership scholarship in upcoming years. Other scholars at this event were eager to participate in this proposed preconference session. This preconference session mirrored and built upon the successful procedures implemented January and May 2014. After a welcome, introductions, and a broad overview of the day, the preconference began with a short introduction to applied theory building. Next, presentations from the Colloquium working groups described their progress to date as well as identified specific challenges or problems they have encountered. The presentations addressed how the group’s work contributes to conscious leading for global change. The working groups addressed any questions posed by attendees, and the broader collaborative discussion and work began. This was done by breaking into small groups of shared interest. The purpose of this half-day preconference was to enhance attendee’s ability to create innovative and relevant leadership theory for leaders embedded in diverse contexts. This session was an outgrowth of work begun in 2013 with the Women and Leadership Affinity Group (WLAG) of the International Leadership Association (ILA), and built on lessons learned from sessions in Utah (May, 2014) and San Diego (October, 2014). Participants were presented with a highly-cited applied theory building research model (Lynham, 2002) and prompted to discuss various research issues such as values, context, culture, and power. There was space for participants to self-select into small groups for actual hands-on applied theory building practice. This pre-conference session welcomed scholars who are interested in learning more about applied theory building, and those who are working to develop a focused and sustained research agenda over time. The goal of this professional development workshop was be build capacity for theoretical and/or conceptual advances in women and leadership theory. To accomplish the goal, participants in this experiential workshop 1) reviewed selected theory building research methods and processes; 2) drew connections between their leadership research, personal leadership experiences, and the applied theory building research journey; and 3) worked in teams to identify specific areas for future women and leadership theory development. The workshop is relevant to practitioners, scholars, and advanced students seeking to enhance their skills and understanding of applied theory building research. Knowledge of leadership research is not privileged over knowledge of leadership practice in applied theory building research—both types of knowledge are needed and valued equally. This workshop was aimed to enhance our ability to create innovative and relevant leadership theory for leaders embedded in diverse contexts, thus bridging the gap between theory and practice. In a highly interactive context, participants will be presented with a highly-cited applied theory building research model (Lynham, 2002) and other supporting approaches and promoted to discuss various research issues such as world views, values, context, culture, and power. Participants self-selected into small groups for actual hands-on applied theory building practice. The session included students and scholars who were interested in learning more about applied theory building and those who were working to develop a focused and sustained research agenda over time. This post-conference session continued to build on the path-breaking work currently underway for creating new leadership theory for women and based on women's experience. As highlighted in the “Asilomar Declaration and Call to Action on Women and Leadership,” this session brought scholars, practitioners, and theorists together for a focused and intentional experience in building new theory. Participants in this advanced workshop included those who had already attended one of the previous women and leadership theory sessions held in Utah (June, 2014) or San Diego (October, 2014). These earlier sessions provided a foundational base of experience and knowledge about applied theory building, and this advanced workshop focused on continual refinement and development and the dissemination and enactment of new and emerging theories. The workshop focused on two related elements of new theory dissemination: writing/publication and implementation/testing. Participants discussed a selection of dissemination strategies that were aligned with diverse contexts, and participants received tools and templates for creating successful publication and implementation agendas. Participants also discussed alternative writing strategies for diverse publications and come away with a new energy and focus for their work. Overall, the learning objectives included the following: (1) learners will be able to describe the similarities and differences between theory building, theorizing, and storytelling; (2) learners will be able to develop knowledge generation strategies (e.g., adding to scholarly knowledge, writing, publishing); and (3) learners will be able to develop impact strategies (e.g., scholar as social change agent). We hosted a two-day invitation-only global summit of 25 recognized women scholars from multiple disciplines in the summer of 2015. The objectives of the summit were focused in three areas: 1) developing a comprehensive, global strategy for women and leadership theory and research; 2) prioritizing theoretical and research needs; and 3) connecting researchers, research centers, and organizations willing to collaborate. The primary outcome of the summit was a report/white paper summarizing the strategies and priorities for advancing women and leadership theory. The report was widely distributed to a global network of scholars, organizations, centers, and other associations focused on these efforts. The longer-termed outcome of the summit was to scale up the theoretical work and moving theory and research into practice. Participants were asked to discuss three questions, which guided the working sessions during the event: (1) what is the current status of women and leadership theory?, (2) given the multiplicity of contexts, cultures, and social norms relating to leadership, how should leadership theories for women be developed?, and (3) what are the gaps and research priorities for advancing women and leadership theory? More information about the Think Tank experience can be found at found here. This caucus provided attendees a forum to discuss the challenges and opportunities for advancing theories of women and leadership. Although there are many leadership frameworks, models, and theories, the majority of them were developed by men and are based on male-normed assumptions (Jogulu & Wood, 2006). According to Ely and Rhode (2010), “although theory is rich on how leaders develop, we have little direct empirical evidence about how these processes may differ for women and men and less still about how they unfold in organizations” (p. 395). 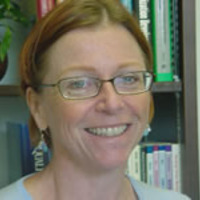 Other researchers (Calas & Smircich, 1996; Stead & Elliott, 2009) argue that a scarcity of critical research on women’s leadership experiences combined with the dominance of leadership theory based on studies of men has resulted in a lack of work that attends to the theorizing of women’s leadership. The scarcity is also true for pedagogical theories that practitioners and educators need to design and deliver coherent, theoretically based, and actionable frameworks for women’s leadership development programs (Ely, Ibarra, & Kolb, 2011). These gaps in the literature mean we are unable to answer important leadership and leadership development questions confidently. At the same time, the demand for answers and insights about women and leadership continues to increase. New questions focused on internal and external barriers that may exist for women leaders have emerged, and insights from multiple theoretical perspectives and research paradigms offer diverse interpretations and potential solutions. Likewise, the topics of leadership and leadership development for women continue to increase in importance in multiple sectors (e.g., higher education, business, government, and nonprofit) and contexts. New opportunities for women and leadership research and practice are emerging in many countries and regions around the world, and many strategic leaders and managers (both men and women) are particularly concerned with developing women for global leadership roles. A focus on rigorous applied theory building for women and leadership is one way to accomplish the goal of more women leaders—thus, opening governance to their often-unheard voice. The goal of this session was to provide Academy members the opportunity to engage in an innovative caucus where they met with others from across divisions to discuss this multidimensional and multifaceted topic. A 10-minute introduction provided background for the need and current applied theory building efforts that participants used as a framework to guide their discussions. The introduction included an outline of potential opportunities, issues, and challenges that can be considered in their discussions. The organizers also collect names and email addresses of attendees interested in future networking. This list was distributed by email shortly after the conference concluded. The caucus offered a convenient, informal way for Academy members who share a topical interest and professional concern regarding theories of women and leadership to network and develop a sense of community around their shared interest. This preconference session was built on the documents generated at the Asilomar WLAG Conference (June, 2015) and the Women and Leadership Theory Think Tank held at George Washington University (July, 2015). These documents provided a foundation for expanding theory building efforts across cultural, economic, religious, racial, economic, and environmental difference. However, many women and leadership scholars continue to wrestle with the paradoxical task of creating generalizable theories while at the same time incorporating contextual and cultural aspects into the theories. Therefore, the purpose of the pre-conference session was to provide strategies, resources, and networked connections for scholars who wish to build context-dependent theory. This pre-conference session was designed to allow participants to generate specific and actionable research strategies for developing context-dependent women and leadership theory. The outcome of the session was intended to be the “next wave” of women and leadership theory building that reaches across diverse cultures and contexts. This preconference workshop, sponsored by the Women and Leadership Affinity Group (WLAG), provided a needed space to build on the many events previously held to develop leadership theory by women and for women. The preconference also contributed to the conference theme of “Leading across Borders and Generations.” Specifically, this preconference addressed the question: “How can women and leadership theory from diverse perspectives contribute towards leading across borders and generations?” This in-depth session mirrored and built upon the continuing work of the WLAG to foster cutting edge scholarship and research, specifically advancing the work done at the between 2013-2015 (e.g., the 2013 Asilomar Declaration and Call to Action; the May 2014 Colloquium; the 2014 ILA Conference, the 2015 Asilomar Conference, and the 2015 George Washington University Leadership Think Tank). The work produced at these events provided a foundation for expanding theory building efforts across cultural, economic, religious, racial, economic, and environmental difference. This full-day pre-conference session was structured to allow participants to generate specific and actionable research strategies for developing context-dependent women and leadership theory. The purpose of the pre-conference session was to provide strategies, resources, and networked connections for scholars who wish to build context-dependent theory. The outcome of the session was intended to be the “next wave” of women and leadership theory building that reaches across diverse cultures and contexts. After a welcome, introductions, and a broad overview of the day, the preconference began with a short discussion focused on the need for theory to be responsive to cultural and contextual differences. Participants were asked to work in small groups to critically review a small selection of women and leadership theories to assess the theory’s ability to represent difference. After working in small groups for an extended period of time (45-60 minutes), participants reported back to the full group their findings and critique of the existing theories. Next, participants discussed various theory building research strategies for addressing the gaps or weaknesses in existing theory, with an eye towards contextual and/or cultural relevance. Exercises and activities catalyzed thinking, sharing, and creating new women and leadership theories for women and girls in diverse contexts and cultures. At the end of the workshop, participants were given the opportunity to sign up to receive theory building resources; in addition, subject/context preference sheets were distributed to facilitate continued communication between scholars sharing similar contextual and/or cultural interests. This AHRD conference Town Hall Forum (THF) sought to inspire the HRD community to engage in meaningful, collaborative, and interdisciplinary research and theorizing that will make a difference in the world. The session was focused on exploring the relationship between theorizing and actionable knowledge, and the role of community as the critical factor in that relationship. Three terms in that sentence are important. First, actionable knowledge is the knowledge we gain through the process of theorizing. Second, community represents the breadth and depth (or lack thereof) of viewpoints, perspectives, experiences, beliefs, and values of the people involved in the theorizing process. Third, theorizing is a defined process of sense making to understand or explain. From this perspective, the relationship between theorizing and actionable knowledge is clear, and the experiences of the community inform, mediate, and influence both the process of theorizing and the resulting new knowledge that is generated. Consequently, the knowledge brought forward by the community into the theorizing process shapes the possibilities for action. Who is in—and not in—the community has profound implications for any resulting theory, logic model, or strategic plan. We believe this issue—the role of community in theorizing—has been generally ignored in the mainstream scientific/scholarly context. We see opportunities for the field of HRD to extend its influence into the world through leading an intentional development of new communities with the experiences, values, and intentions for making a difference. We believe that this Town Hall Forum helped participants expand their view of knowledge and visualize how theorizing extends beyond academe and into the world. We hoped that participants now more deeply understand the connections between head, hand, and heart in terms of ‘doing’ HRD in the real world. Through a lively panel discussion and the presentation of a case study example, HRD scholars and scholar practitioners learned how to expand their influence in the Academy as well as in social, political, economic, and environmental contexts. Participants learned of an innovative ‘movement’ focused on theorizing and were given the opportunity to imagine creating a new movement focused on their research or context issue. Participants were challenged to extend their community deliberately and strategically, and were provided with a new way to understand the value they bring to the theorizing table. Developing Women’s Leadership: Theory and Practice drew on the expertise in theory building, developed during three previous events: 1) Advancing Theories of Women and Leadership Colloquium held at Utah Valley University, May 2014; 2) Women and Leadership Theory Think Tank at George Washington University, Washington, DC. July 2015, and 3) a symposium on theorizing human resource development at the Annual European Conference on ‘HRD Research and Practice Across Europe Conference’ (Cork), June 2015. This gathering was informed by and complemented the previous events by addressing the ways in which women’s leadership can contribute to policy and practice. Organizers of the two US colloquia – Professor Susan Madsen, Utah Valley University, and Dr Julia Storberg-Walker, George Washington University - attended the event as keynote speakers. The leaders of the symposium – Professors Carole Elliott and Sharon Mavin - facilitated the event thus fostering the development of international networks. The purpose of the workshop was driven by the need to address the lack of individual and organizational theories that focus on women’s leadership. This gap in the literature means we are unable to address important leadership theories confidently, yet the demand for insights about women and leadership continues to increase. To address this gap, the organizers hosted a 1.5 day workshop designed to: catalyse collaborations between early career researchers, doctoral students and leading scholars; train early career researchers and doctoral students in tools, strategies and techniques to develop theories; provide opportunities to generate theory through a supportive action learning process and to imagine, create and develop research agendas to advance the next generation of research related to women, leadership and women’s leadership development. The workshop goals were met by featuring keynotes by leading international scholars, offering facilitated sessions on techniques for theorizing, integrating stimulating and rigorous scholarly research into the learning process; mobilizing early career researchers towards theory development and advancement of knowledge, and connecting scholars from different institutions, disciplines and countries. The workshop adopted an action learning approach to its design in order to enhance early career researchers’ and doctoral students’ theory building experience and skills. Participants were asked to engage in a set of activities, including preparatory readings, prior to the workshop. plenary discussions to draw together key findings from action learning sets, to identify theoretical and conceptual needs, and to devise actions for policy and practice. The purpose of this PDW is to develop women and leadership theory-building knowledge, skills. and experience for scholars and scholarly practitioners from diverse disciplines, cultures, and paradigms. The workshop is designed to be a catalyst for these scholars and scholarly practitioners to begin to work together to refine or create new, relevant, and impactful leadership theories for and about women leaders. Participants of the workshop will have the opportunity to access a shared Dropbox folder containing multiple resources related to theory building research in general and women and leadership theory in particular. The PDW workshop will present an innovative perspective on the traditional research to practice knowledge development process that encourages cross-disciplinary, cross-cultural, and cross paradigm research. Specifically, the workshop will seek to: 1) catalyze collaborations between researchers and practitioners; 2) provide concrete tools and strategies for developing applied women and leadership theory: and 3) pose critical questions about how research methods and paradigms can act as barriers to developing the actionable knowledge needed for change. After a facilitated discussion focused on the foundations of both theory building research and women and leadership theory. participants will be challenged to work together to imagine and create a focused research agenda encompassing the full knowledge generation cycle. This activity. called "Create Your Research Agenda," provides participants with a template or framework that allows them to identify research gaps and practice needs. In addition, the activity fosters the development of a strategic vision for designing a research agenda with impact and change in mind.